Home » Healthcare Technology Vendor News » Is DocuSign HIPAA Compliant? Can DocuSign be used by healthcare organizations in connection with electronic protected health information (ePHI) without violating HIPAA Rules? Is DocuSign HIPAA compliant? 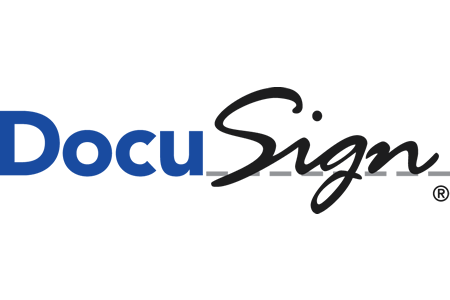 DocuSign is a San Francisco-based provider of electronic signature technology and transaction management services. Via DocuSign, companies can send documents such as contracts to customers and business associates and obtain their electronic signatures to confirm that they have read the document and agree to any terms and conditions contained therein. In healthcare, eSignature services can streamline administrative tasks and save many hours of chasing up paperwork. The DocuSign solution can be used by healthcare providers for a range of different purposes, including obtaining eSignatures on SLAs, business associate agreements, credentialing forms, and patient consent forms. However, if the service is used in connection with any electronic protected health information, DocuSign would be classed as a business associate. HIPAA requires all business associates to enter into a HIPAA-compliant business associate agreement with covered entities prior to being provided with or given access to ePHI. When considering if DocuSign is HIPAA compliant, a key test is whether the company is willing to sign a BAA with a HIPAA-covered entity. On the DocuSign website, the company states that it is prepared to sign a BAA and has already done so with many healthcare providers and life science customers. DocuSign also confirms that while the company does not access ePHI, any ePHI that passes through its service is secured. DocuSign also confirms that it is in full compliance with the privacy and security requirements of HIPAA and its service meets HHS standards for digital signatures. In order to obtain a BAA, customers must first sign up for an Enterprise account with DocuSign and they must ensure the signed BAA is obtained prior to using the service with any ePHI. Provided a BAA is obtained, DocuSign can be considered a HIPAA compliant eSignature service.